Gov. Dannel P. Malloy’s “Second Chance Society” bill — which lowers penalties for drug possession — passed in both the Connecticut House and Senate during Monday’s special session. The impetus for the bill was that Malloy and some lawmakers believed minorities in urban centers were disproportionately charged in drug arrests. Under the previous law, a conviction for drug possession within 1,500 feet of a school or day care center carried a mandatory minimum of two years in prison. The new law removes this mandatory sentence for possession, but penalties for selling drugs do not change and the 1,500-foot school zone stays intact. TrendCT analyzed data from Connecticut’s Judicial Branch, stretching back to 1999, and we found that minorities faced these harsh penalties more disproportionately than first thought. Number of those arrested for allegedly violating statute 21a-279(d). Since 1999, more than four out of five people in Hartford who were arrested for drug possession were within these zones. 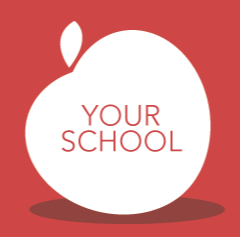 Nearly 65 percent of the city falls within 1,500 feet of a school or day care. In New Haven, Norwalk, Stamford and East Hartford, more than 70 percent of drug arrests were within these zones. In the 12 most-dense cities in Connecticut, only 26 percent of those arrested for drug possession in these zones in 2014 were white. Meanwhile, in rural and suburban areas, 56 percent of those arrested were white — down from 2001, when it peaked at 75 percent. Hispanics accounted for 23 percent in 2014, up from 11 percent in 2006. The rise is more dramatic in non-urban areas for Hispanics, where they accounted for 17 percent of those arrested in 2014, up from with two percent in 2008. New Haven, Hartford, Bridgeport and most other densely populated cities are covered with these school zones, given the density of schools and day care facilities. 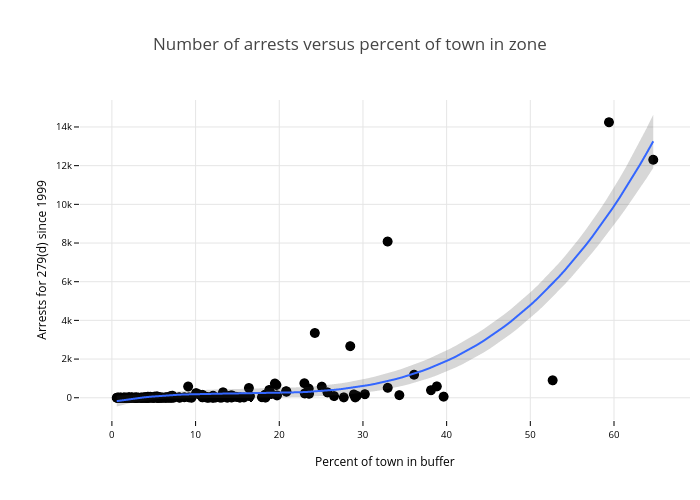 Explore the chart below to see the relationship between the number of possession arrests and how much of a given town falls within a buffer zone. The chart reveals some outliers. Waterbury has a large rate of arrests (73.39 per capita) for the size of its population (110,000). In contrast, Bridgeport has not nearly as many arrests (6.19 per capita) given its population (145,000). Bloomfield also has a high nonwhite ratio of arrest though it has a modest overall rate. Ansonia has the fourth-highest arrest rate, but the rate for whites and minorities is similar.